I think what I'm about to write in this post may be basic knowledge for most, but it is also obvious that quite a few people lack this knowledge or maybe they just ignore it. It could, of course, also be that they disagree. Anyway, here's a few of my thoughts on the basics being well dressed. Dressing well has got a lot to do with getting a few simple details right. Here follows a couple of points to bear in mind which will serve you well if followed. Shoes, socks, belt, gloves, watch wristband and cufflinks. After you've chosen what suit, or trousers and jacket you're going to wear move on to decide what shoes to wear. The shoes will determine what socks, belt and, if necessary, gloves to wear. Socks, belt and gloves should always match the shoes. For everyday use, I think it's sufficient only to get the basic colour to match. 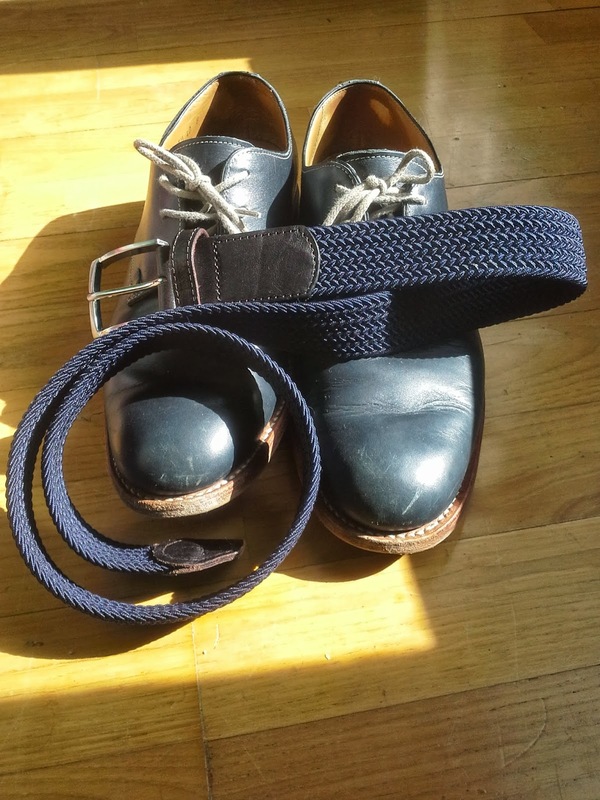 It is perfectly fine if the belt is a slightly different tone of brown to the shoes, but don't wear a black belt with brown shoes. If you have blue shoes, get a blue belt. The same applies to the socks, always let the socks match the shoes. On more formal occasions I would always also try to get as little tonal difference between the shoes, socks, belt and gloves as possible. Another thing which could also be mentioned here is the wristband for your watch. If your watch has got a leather wristband, it should ideally also match your shoes. This could be slightly more difficult to follow as watches are expensive items and you may not have more than one. I only have one watch and I'm very happy with that but I have opted for a gold, metal wristband. I think wearing a metal wristband is the solution if you only have one watch. I do, however, try to match my cufflinks with my watch, and as a result I have mostly gold or gold coloured cufflinks. although the match isn't perfect. you want to make a statement with your socks. With regard to ties and pocket squares I don't think there are too many rules which must be followed. These are accessories which should bring some sparkle to your outfit, especially the pocket square, and there is a lot of room for creativity with regard to these items. There is, however, one thing which should be mentioned. 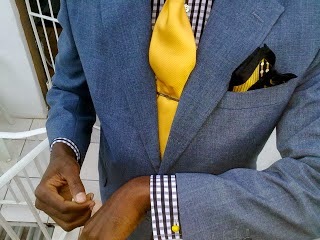 Never wear a tie and pocket square in the exact same colour and pattern! It basically looks like you haven't given it any thought yourself and just bought a finished set somewhere. Likely because it was on sale and you thought you got a good deal. If you're going to accessorize you're suit with a pocket square, be a bit creative. Otherwise leave the breast pocket empty, that is perfectly fine as well. each other but do not match. Photo: borrowed from an article on the "Perfect gentleman" blog.